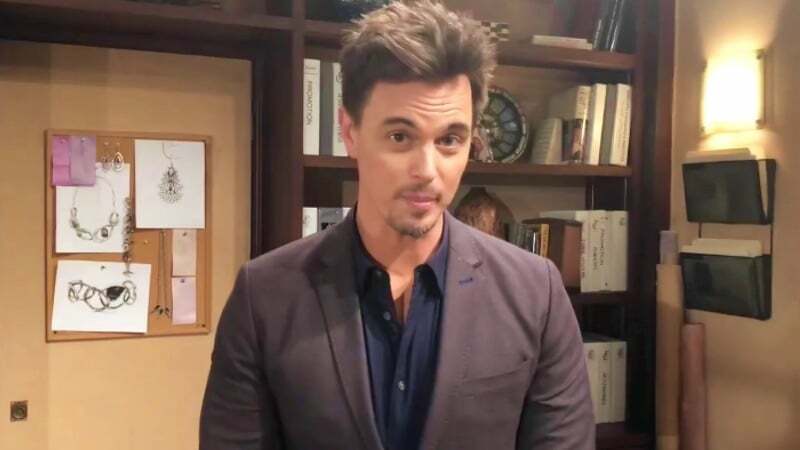 The Bold and the Beautiful spoilers for next week’s episodes of the CBS soap tease that February sweeps is shaping up to be an epic event on your favorite soap! Will the baby switch drama explode like an abandoned WWI bomb? Will Kill become a thing again? Let’s start dishing the soapy dirt and find out! Well, that was a fast run for Wayne Brady and his character Dr. Reese Buckingham. It looks like the demented doc will never be made to pay for his devious baby switcheroo. Whether or not he pays the piper remains to be seen, but what is certain is that a few peeps are beginning to sniff around the suspicious situation. Let’s see, Hope (Annika Noelle) loses her baby one day and the next day Steffy (Jacqueline MacInnes Wood) adopts her baby. Next week the plot thickens as Zoe (Kiara Barnes), Ridge (Thorsten Kaye) and now Brooke (Katherine Kelly Lang) begin to question the particulars of the Baby Beth/Phoebe situation. Of course, if one of them does figure out the devastating truth, there’s no guarantee that they’ll spill the dastardly beans. Explosive show spoilers reveal that someone will unravel the mystery, but keep their trap shut to devastating consequences! Would you believe it if I told you Steffy may be the one to figure it all out? Will Katie (Heather Tom) do the unthinkable and reunite with Mephisto Bill (Don Diamont)? Or is there another man on her radar, aka Pizza Boy Wyatt (Darin Brooks)? Poor girl, Thorne (Ingo Rademacher) drops a Valentine’s Day bombshell and no it isn’t full of dark chocolate. Let’s just say she’ll need some comfort after what he has to say. The rift between Lope is destined to grow after their horrible loss. Now that Hope for the Future is back on the radar at Forrester Creations, expect the grieving blonde to find comfort in her work. Which leaves Liam (Scott Clifton) exactly where? At Steffy’s side, co-parenting their two daughters! Yikes. Who has been pre-nominated for a Daytime Emmy? Find out now! Does Hope lose her baby on The Bold and the Beautiful?